Search Engine will help you find your website in Search Engine. This is one of the mainstreams help needed to be served. Social Media is a connectivity among people of various communities via Instagram, Facebook, LinkedIn, etc. Website Developers are now well-recognized in today’s world because website only proves the identity for the company. One of the most needed jobs nowadays. And is very much in need. We have professional bloggers to make your content the best. It’s again a hassle to redesign your already-built Website which you want to change. We are there at your service here as well. Be it Android or Windows or Iphone, what is the need to move rat out of it’s cage.We also provide services to develop a app. WHY OUR CLIENTS PREFER WORKING WITH US? Everyone wants to stand out from the rest of the crowd and your brand is no exception. 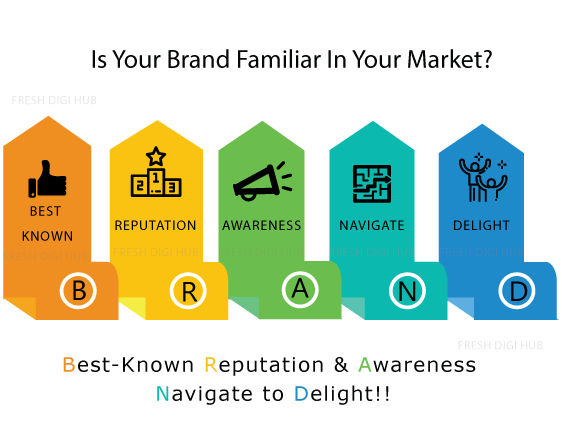 Create your brand and its identity through the process of branding. Branding creates an image of your company, product or service which becomes an indelible imprint in the customer’s minds. So great caution has to be exercised in the branding process so as to convey the right message and connotation about your brand. You have an awesome website that attracts visitors to your site. But is this traffic getting you any leads for business? That is the million dollar question. If not, all your digital marketing efforts are in vain. 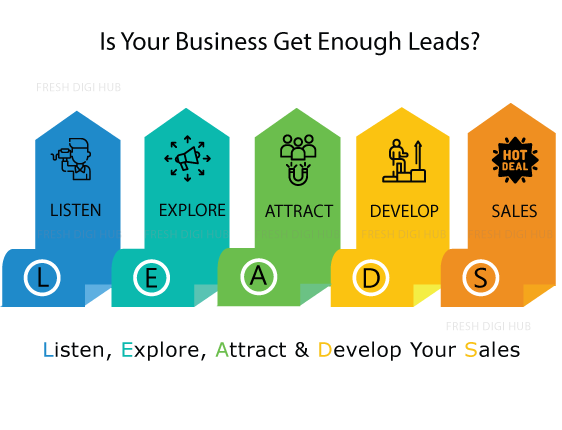 Lead generation is the fundamental reason for driving traffic to websites, launching marketing campaigns and doing social media advertising. All digital marketing activities are centred around lead generation. 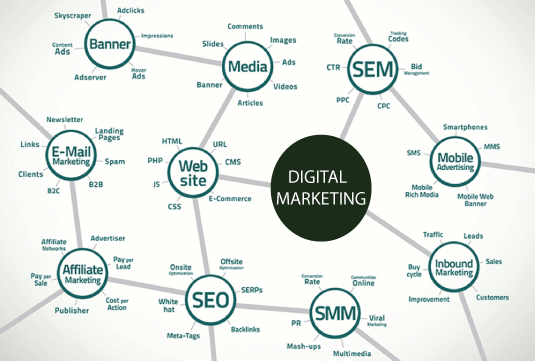 Skilled in wide Range of Digital Marketing tools. Let’s start building your digital presence with us. Fresh Digi Hub is a Digital Marketing Company in Chennai. We will build your brand and generate leads for your business. We offer Website Design, Search Engine Optimization, Local SEO, PPC & Social Media Ads. We also strategize the marketing plan and execute it in a way to satisfy the clients. #33, Old Mahabalipuram Road, Seevaram, Perungudi, Chennai 600096.